Are you leveraging your LinkedIn Connections to the fullest potential? There are a few things you can do and a few things you’ll want to avoid on LinkedIn to help you get the most value from those relationships. In this blog post, you’ll learn about the activities and steps to take. 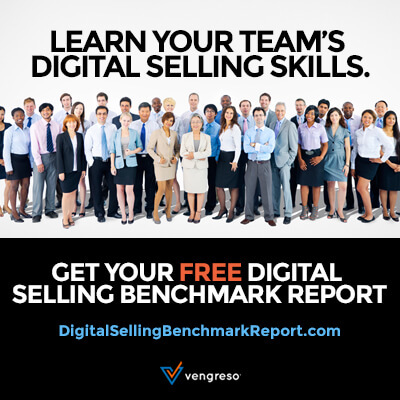 Charles Tannous, a Sales Manager at Conversica, shares his experience in Vengreso’s Selling with LinkedIn Workshop in this Vengreso Testimonial video. His biggest takeaway from the training is to “Not be Normal” and to think outside the box. With the sales tips and tricks that he learned, he says he’s ready to crush it! Watch the short video or keep reading to find out two things Charles learned that could help you to get more LinkedIn Connections and increase inbound activity too. 1. Update your LinkedIn Profile to help prospective clients, instead of using it to serve you as a resume. The trainees in the Selling with LinkedIn Workshop for Conversica were provided with LinkedIn Profile Makeovers. After the makeover, Charles said that he received many more views of his Profile. Combine that with the tips and tricks he learned from Kurt Shaver and Mario Martinez Jr. during the digital selling training, and he has what he needs to not only attract more visitors but also to start a conversation and engage them. Having more than a small handful of Recommendations on your LinkedIn Profile gives you credibility. If a LinkedIn User comes to your Profile and sees multiple Recommendations, they will feel a sense of trust for you and your work. Vengreso CEO Mario Martinez Jr. recommends a minimum of 30. You should already be connected with current and previous customers – if you’re not, start sending out those connection requests today! Reach out to the people who you think would be willing to write you a positive review and ask for a LinkedIn Recommendation. You could even write it for them, and of course, leave it open to their edits. Apply this advice and start connecting with more of your prospects now! If you don’t have the time, energy or know-how to transform your LinkedIn Profile into a resource, purchase one of our LinkedIn Profile options. Our expert-trained LinkedIn Profile Writers, like myself, will do everything needed, with insight from you.